As parents, we often happily give up our wants for those of our kids. It’s normal. Their happiness is our happiness. We have a solution so when it comes to decor, you don’t need to compromise. Welcome to our little blog post that we dedicate to all of the parents who have swapped Sherpa throws for cloud and elephant prints in baby blue. Or as we like to call it: ‘something for the parents’. 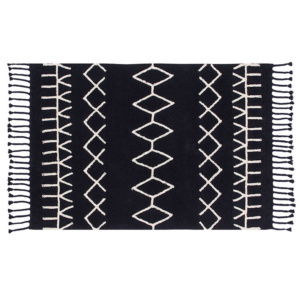 The great thing about these rugs, besides the fact that they are 100% cotton and machine-washable, they go beautifully in a nursery, toddler room or even your room or lounge. No, you’re not being selfish, dear parents. 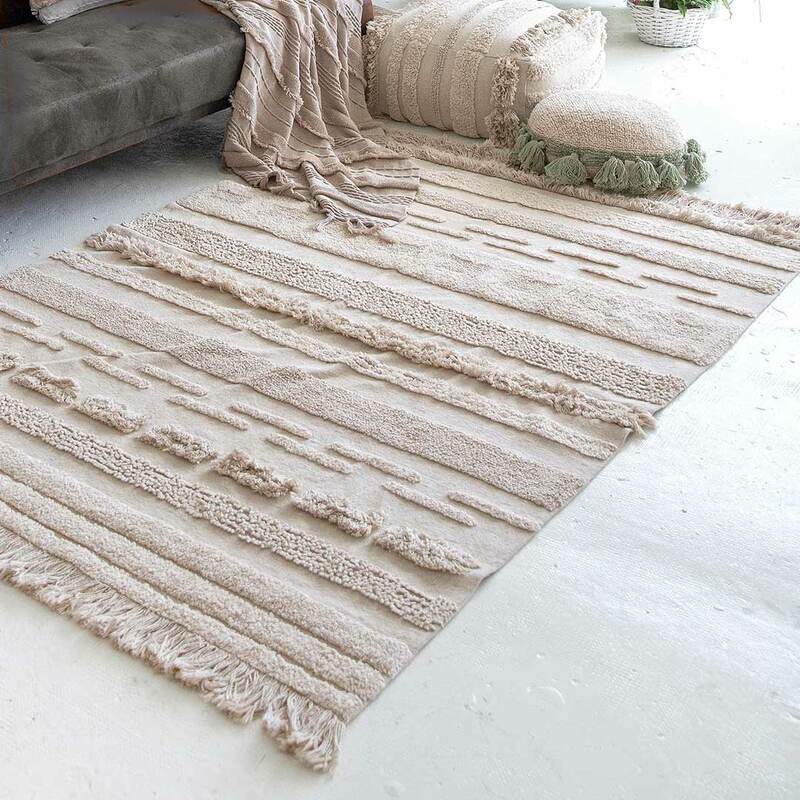 Your rug could always start out in the nursery and then move to the lounge, or vice versa, like the neutral and easy to style Air rug from the Early Hours collection. 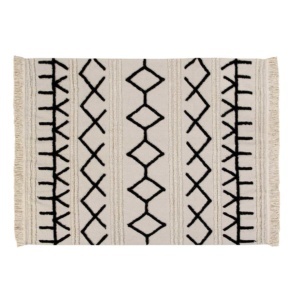 It’s a bit bigger in size too, so there is really no reason for it to be labelled as only a kids rug, besides, it’s 2019, we’re so done with labels. Next up, we have a lovely selection of furniture that conforms to European safety standards and is not only aesthetically pleasing but super practical too. We’re deep like that. Vox is award-winning furniture that is made with every aspect in mind whether it’s the weather, cleaning products used or longevity, it’s been tested and perfected. Vox is known for its functionality and will have something for you, or something for you and your child. It is well known that a mirror can make a room look bigger, and if you’re going to commit to this trick, it should be a gratifying mirror! 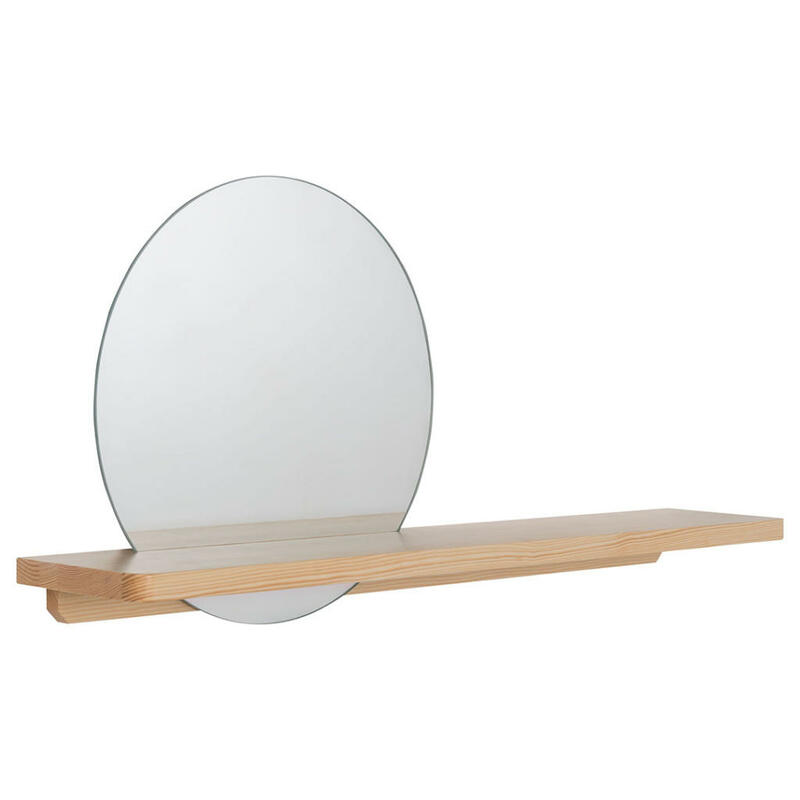 Like the Sense Round Mirror, that is perched on a shelf – perfect for your foyer! Thought you’ve seen it all? But wait, there’s more…The Lori collection is the ultimate study. Create your own modern beauty and the beast library by using the Lori Wide Open Bookcase in conjunction with the Lori Wide, Narrow and Drawer Shelves (available separately), for a modern study that maximises space to the utmost. We could spend hours in a study like this!